The temperatures in Miami are rising and so are the numbers of incoming tourists. 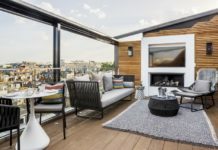 Get your clients in on the action beginning with a luxury hotel stay at one of these properties. 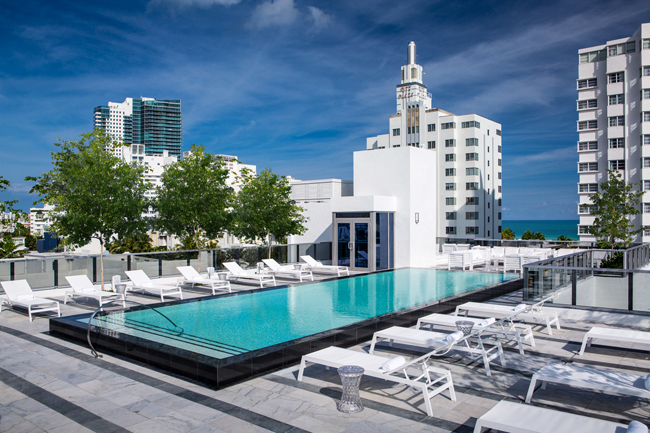 Menin Hospitality, a collection of luxury, boutique hotels in South Beach, is presenting guests with the key to the city (figuratively speaking) when they check in at any of Menin Hospitality’s four properties—Gale South Beach, Sanctuary South Beach, Kaskades South Beach and Bentley South Beach. The key to the city is actually the guest’s room key, and with it, they can “unlock” special offers around town, including complimentary mozzarella sticks at Piccolo Italian Bistro; 15 percent off pizza orders at Pizza Bar; one complimentary king yellowtail maki at Red Ginger; complimentary rooftop yoga classes at Gale South Beach; complimentary guacamole and chips from Bodega Taqueria y Tequila; and one complimentary specialty cocktail from Radio Bar. Transportation around South Beach is available through all Menin properties. For more information, visit meninhospitality.com. 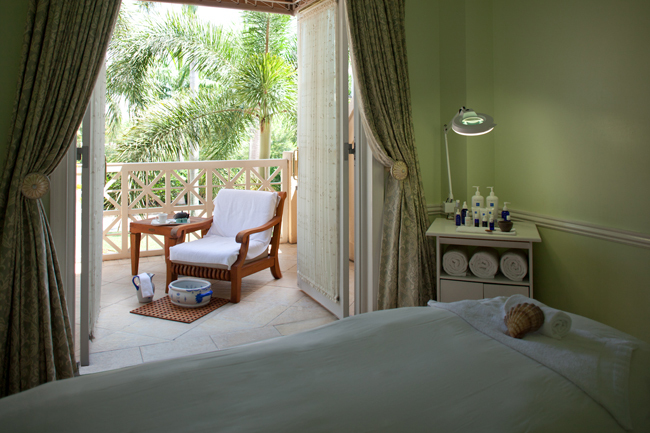 A treatment room at Turnberry Isle Miami. Rather than beat the heat, Turnberry Isle Miami is inviting guests to embrace the sunny South Florida climate with two packages that offer the ideal spring or summer getaway for families, or just the girls. The whole family will enjoy the resort’s new Family Fun package, featuring deluxe accommodations, a $100 resort credit, overnight valet parking and a 4 p.m. late check-out. While parents stretch their dollar farther with 20 percent off pool cabanas, 10 off select children’s programs and 50 percent off golf for juniors ages 16 and 17, the kiddies can enjoy a half-day access pass to the Kids’ Connection club (up to two children), complimentary golf (ages 15 and under after 2:30 p.m.), and a special children’s menu at the resort’s American-inspired kitchen and bar, Corsair, where kids ages 5 and under eat free. In addition, adults receive daily American buffet breakfast for two at Corsair. Rates for the Family Fun package start at $439 per night through Sept. 30, 2016. Women traveling a bit lighter (without the husband and kids) can escape to Turnberry for the Ultimate Girls Getaway through Sept. 30, 2016. Featuring a indulgent spa treatment and retail therapy at the nearby Aventura Mall, the Ultimate Girls Getaway package includes deluxe accommodations, daily use of a cabana at the Laguna Pool, and a 50-minute Swedish massage, plus daily American buffet breakfast for two at Corsair, a $50 Aventura Mall gift card, 20 percent off spa and golf retail items, 20 percent off additional spa services, and overnight valet parking for one vehicle. Rates starting from $359 per person per night through September 30, 2016. Additional amenities at the 300-acre resort in Aventura, Florida include two pools, the Cañas Tennis Center, a spa and fitness center and two signature restaurants—celebrity chef Michael Mina’s renowned Bourbon Steak and the resort’s newest restaurant, Corsair Kitchen & Bar. Regular room rates start at $239 per night. For more information, call (866) 612-7739 or visit turnberryislemiami.com. Meanwhile, the Fontainebleau Miami Beach has introduced a summer lineup of family-friendly activities with weekly events dedicated for adults only. Kids (ages 5 and over) and their parents are invited to tour the Fontainebleau’s pastry kitchen and work side by side with one of Fontainebleau’s pastry chefs every Wednesday and Saturday at 11 a.m (reservations are required); the class/tour is priced at $15 per guest; for a maximum of 8 guests. In addition, the resort is offering family movie nights by the pool on a large 14″ by 24″ screen and complimentary pool and beachside games and toys, such as over sized chessboards and boogie boards. For the 21 and over crowd, the Fontainebleau is offering weekly events starting at $25 per class, including A Little Italy – Italian Wine Seminar on Tuesday evenings, a School Your Spirit mixology class on Wednesday evenings, where guests learn how the art of craft cocktails and even bottle their own personal blend to take home, and on Thursday evenings a Brush & Blush paint lesson and a rose wine tasting. The Fontainebleau also features nine onsite restaurants, a 40,000-sq.-ft. spa, retail boutiques, an oceanfront poolscape and the renowned LIV Nightclub. For more information, call (877) 512-8002 or visit fontainebleau.com.